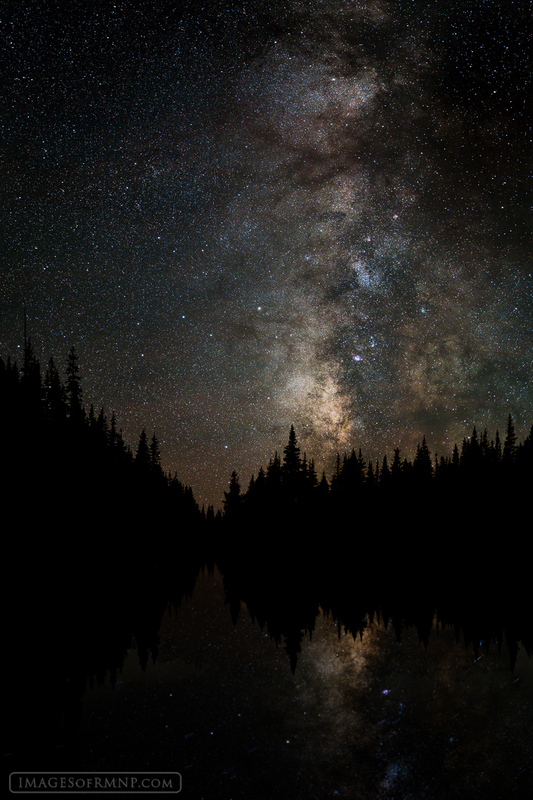 On a warm October evening I sat alone amongst the stars at a small lake just below tree line. There wasn't a breath of wind and the silence was so deep I almost felt like I would hear the stars if they whispered. During these quiet times when the rest of the world is asleep there is a deep almost inexplicable peace that fills the air. Photo © copyright by Erik Stensland.